Hi there! 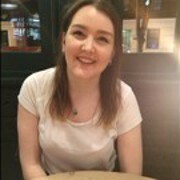 My name is Daisy, I studied Biology as one of my A-level subjects and really enjoyed it, I developed a passion for it and decided to pursue it as my degree subject. I am now in my second year studying Biological Science at The Royal Veterinary College in London. I would love to share my enthusiasm for Biology with you and help you learn!